Vishal, Arjun, and Samantha starrer Abhimanyudu is gearing up for release in Telugu on January 13, 2018. Directed by P S Mithran, the action thriller will also release simultaneously in Tamil as Irumbu Thirai. The film’s motion poster was unveiled today, and the makers are finally dropping hints about what the film’s story is going to be like. 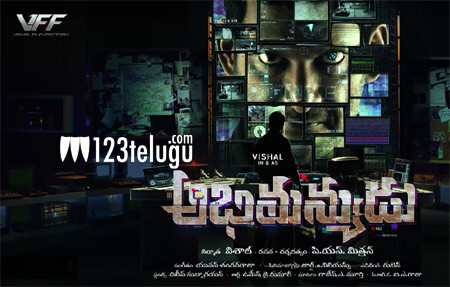 Based on the visuals in the motion poster, it is evident that Arjun plays a cop, whereas Vishal is the fugitive who is on the run. It will be interesting to see how PS Mithran has handled this subject, which seems like a hi-tech action crime thriller. Yuvan Shankar Raja has scored the music and Vishal has produced the film.